Let’s say you want to write a children’s Bible. When the time arrives to collect the stories you want to include, you need to choose which of the hundreds of tales in the Bible will make the cut. You can approach this decision a variety of ways: thematically (stories involving children, for example), artistically (stories that are illustratable), or even mathematically. And by “mathematically,” I just mean “counting”–gather a bunch of kids’ Bibles, look at the tables of contents, and count the number of times that each story appears. Google Books speeds up this process; they include dozens of children’s Bibles in their index, some from the nineteenth century. My assistant went through over thirty Bibles for kids, copied out the tables of contents, and aligned all the stories. The resulting spreadsheet reflects around 415 unique stories that have appeared in kids’ Bibles over the past 180 years; around 350 of them show up in more than one kids’ Bible. 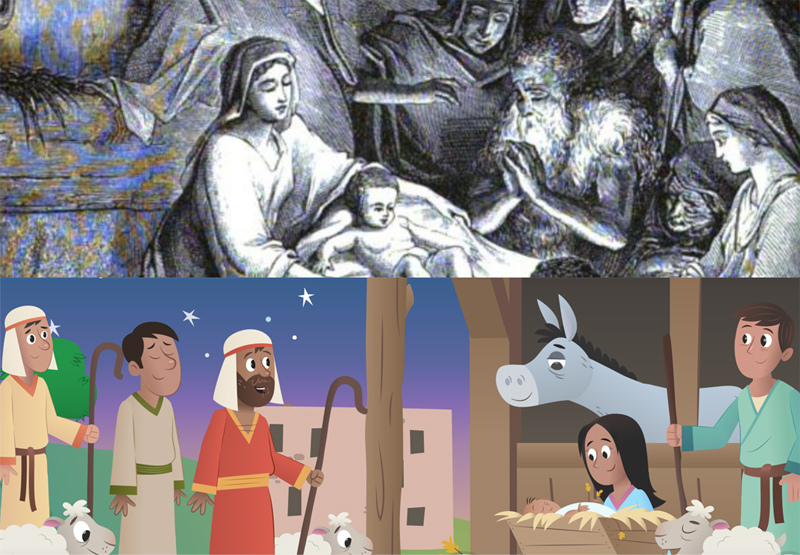 Show the complete list of popular stories from kids’ Bibles. Some stories fall in and out of favor over time–compare the following list of top stories from the 1800s to the top stories from the 2000s. After looking at the below list, one person I talked to suggested that the composition of Bibles for children has become more theological recently and less focused on character-building. The new Bible for Kids app from Lifechurch, out today, includes six stories: Creation, Fall, Jesus’ birth, Jesus heals a paralytic (the roof story), Jesus’ crucifixion, and Jesus’ resurrection. Aside from the story of the paralytic, all these stories are popular in recent Bibles for children. The raw data behind these lists is available as a Google Spreadsheet for you to download if you’re interested. For those books still in copyright, the contents of each book are copyright their respective authors. This entry was posted on Thursday, November 28th, 2013 at 5:10 pm	and is filed under Kids. You can follow any responses to this entry through the RSS 2.0 feed. Both comments and pings are currently closed. This is really interesting – thank you for doing all this work! The “raw data” link you give doesn’t offer a Download option, which I know Google Spreadsheets often has. This seems to be some reduced HTML-only view. Is it possible for you to provide a link which gives the proper Google Spreadsheets UI, including the option to download as CSV, XLS etc.? Just wanted to say thank you for the superb spreadsheet on Paul’s missionary journeys. I am preaching a series on Paul and this was just what I was looking for. It wouldnt let me comment there, and I couldnt find a way to contact you directly – hence posting here.